I recently had the pleasure of working with Dark Horse on a significant cell therapeutic diligence project. 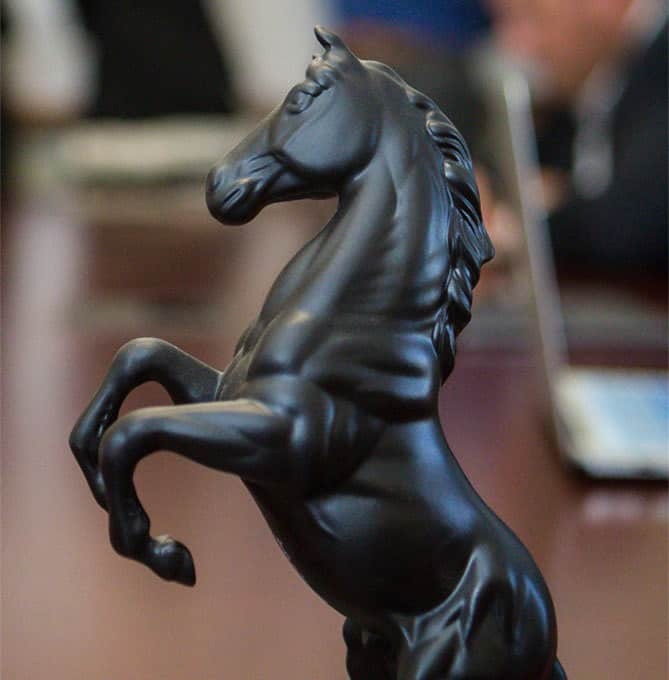 The Dark Horse team delivered a high quality product with rapid turnaround. I was impressed with the Dark Horse Team and their thorough contribution was an invaluable component of our investment thesis. Dark Horse Consulting has supplied invaluable support to the Stanford University Stroke Disease Team. They have coordinated functions as diverse as pilot and outsourced cGMP manufacturing, analytical development, quality systems and regulatory affairs. Further, their subject matter expertise has greatly enhanced the Neurosurgery Department’s interactions with the CIRM and the FDA. GARY K. STEINBERG, M.D., PH.D. In my opinion Dark Horse Consulting is anything but the ‘dark horse’ team to select when choosing a consultancy to accomplish what you need and more. Given their depth of experience, expertise and connections this is a team you’d predict to win – a team you want adding value to your efforts. Retaining this firm is not for the faint of heart or weak of expectations. This is a team which will pull no punches, recognize no limitations, raise the bar higher than anyone internally has dared, compete harder, and accomplish more. Dark Horse Consulting’s founder, Anthony Davies, is a renaissance man of biologics development who has set the tone for his firm as one which will act with respectful honesty (even when it’s not the news a client wants to hear), transparent integrity, and rigorous compliance with the highest standards and yet perform comfortably with the tough trade-offs and practical parameters often facing biotech companies. My only hesitancy in hiring Dark Horse Consulting would be if I wasn’t prepared to fully commit to getting things done and done the right way. President & CEO, Director at RepliCel Life Sciences Inc. It has been a pleasure collaborating with Dark Horse Consulting. They provide deep expertise and the ability to clarify and focus federal regulators’ attention on critical issues. Such contributions are invaluable in moving complex biologicals smoothly along the path to approval.